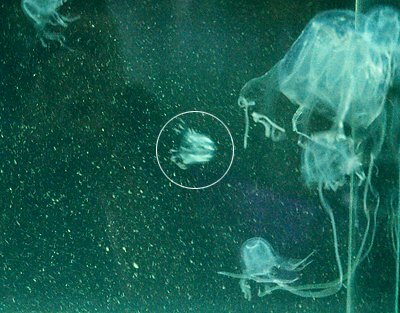 CAPE PANWA, PHUKET: Marine biologists think they have discovered a tiny species of the venomous box jellyfish never seen before in the waters around Phuket. Dr Somchai Bussarawit, Chief of Museum and Aquarium at the Phuket Marine Biological Center (PMBC) said on March 18 that the specimen was discovered at Ao Nambor, the same area where almost 40 specimens of box jellyfish were collected in July 2008 and a further 18 in October of the same year. The PMBC revealed that the new species is smaller and has shorter tentacles than any species of box jellyfish previously identified in Phuket. He was unable to confirm where else in Phuket these new jellyfish might appear, but revealed that they like the type brackish water associated with mangrove ecosystems. The PMBC is continuing to search for answers and Dr Somchai confirmed that experts from Australia will travel to Phuket to provide information and instruction about box jellyfish. 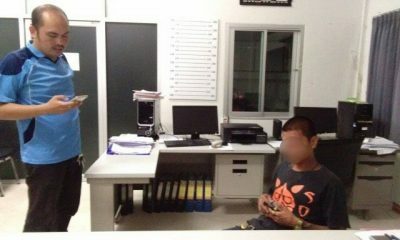 Dr Somchai reiterated that the best course of action following a suspected sting was the application of vinegar and that a doctor should be contacted immediately.